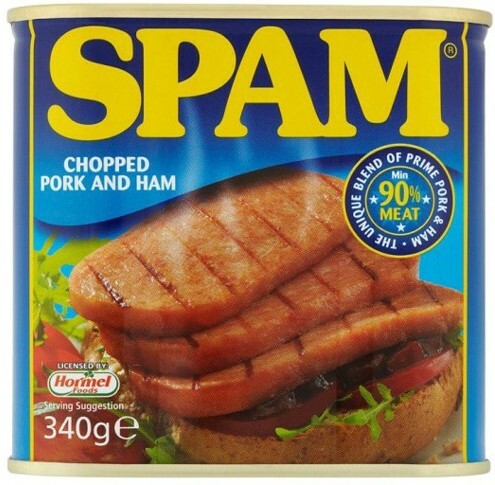 The name SPAM comes from "spiced pork and ham" and that's exactly what it is: savoury spiced pork and ham from a can. Serenaded by Monty Python, worshipped in sketches and admired in a musical. 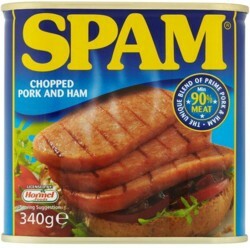 SPAM is a cult and is sent a million times every day! SPAM always tastes great: for breakfast, for lunch, for dinner, and of course in between. Anytime is spam time. 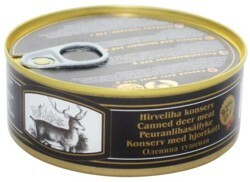 Delicious deer meat from the forests of Northern Europe. As with our Wild Jerky, this game comes from hunting and not from farmed animals. The meat is ready to eat, a pleasure hot or cold. Yes, you eyes are not deceiving you! Jerky House's newest sensation! 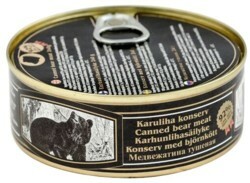 Delicious bear meat from the forests of Northern Europe. 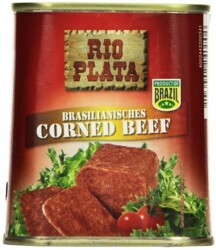 Spicy cured corned beef from original Brazilian beef. 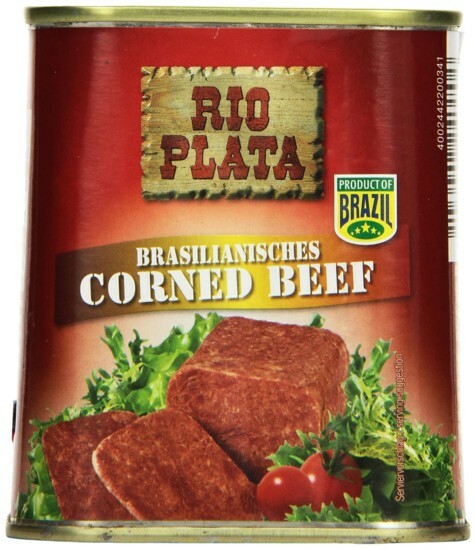 Corned Beef is considered in many countries and cultures as a traditional meat dish. There are countless recipes and ways to enjoy corned beef hot or cold. 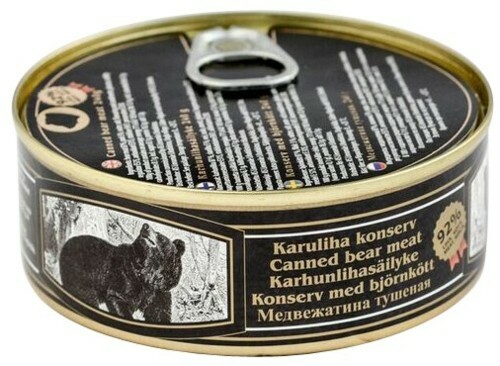 Maybe best to eat it right out of the can or in a hearty sandwich. For decades a cult snack within Germany, the Currywurst is becoming increasingly popular around the world. 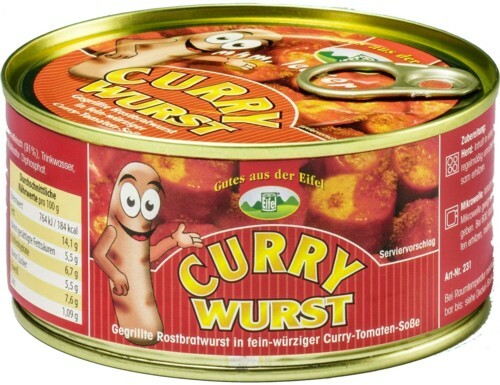 For our Currywurst only the finest Bratwurst is grilled, then sliced and paired with a spicy tomato curry sauce.